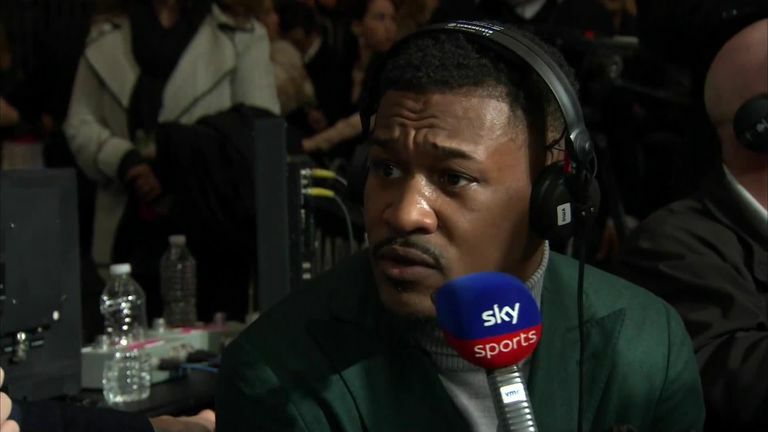 Daniel Jacobs will take on Saul 'Canelo' Alvarez in a middleweight unification bout on May 4 after signing a three-fight deal with Matchroom USA. "This is the opportunity I have been waiting for, the opportunity to achieve greatness inside the ring," Jacobs said. "I have always believed I can beat Canelo and, on May 4, I will get my chance to play it out. After securing a deal with Jacobs, Matchroom Sport managing director Eddie Hearn said: "What a fight! I can't tell you how happy I am that Danny Jacobs gets this opportunity to fight Canelo on Cinco de Mayo in a massive unification fight. "Victory would cap one of the most incredible, inspirational boxing stories of our generation, and Danny and the team will be putting everything in place to lead him to victory. "Respect to Canelo and Golden Boy [Promotions] for accepting this challenge." Watch Demetrius Andrade's WBO title fight against Artur Akavov, with Jorge Linares and TJ Doheny also live from Madison Square Garden, New York, in early hours of Saturday, from 2am on Sky Sports Arena.